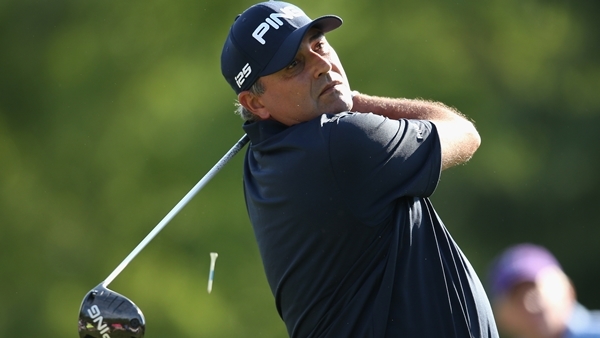 CHARLOTTE, N.C.– Angel Cabrera never knows when he’s going to play his best golf. This could be shaping up as one of those weeks at the Wells Fargo Championship. On a Quail Hollow course that lets the Argentine hit driver on just about every hole, two exquisite short-game shots late in the second round carried Cabrera to a 3-under 69 on Friday and a share of the lead with Martin Flores going into the weekend. It was the first time Cabrera had at least a share of the 36-hole lead on the PGA Tour since the 2007 U.S. Open at Oakmont. The last time he was part of the lead after any round was in the 2013 Masters. With one of the most powerful and reliable swings in golf, the mystery about the 44-year-old Argentine is that his only two on the PGA Tour are majors – Oakmont for the U.S. Open, and Augusta National when he won the Masters in a playoff in 2009. Flores couldn’t ask for a better start, and his finish wasn’t too bad, either. Flores began his second round birdie-eagle when he holed out with a wedge from 105 yards in the 11th fairway. He added a pair of birdies late in his round for a 68. They were at 9-under 135, one shot ahead of Justin Rose, who had a 67. 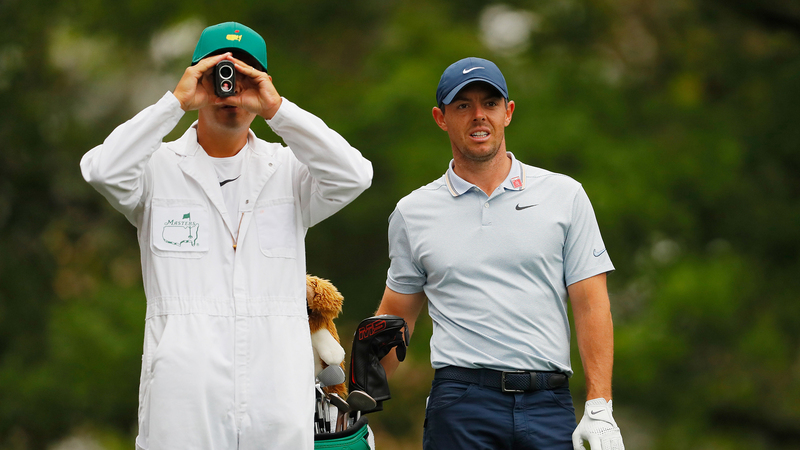 Phil Mickelson and Rory McIlroy went the other direction. Mickelson, one shot out of the lead to start the second round and perfect conditions ahead of him, seemed to miss every putt that he made on Thursday. He had a 75 and fell seven shots out of the lead. “I can’t believe the difference in putting from yesterday to today,” Mickelson said. “Yesterday, I saw every ball go in the hole. And today I couldn’t get them to fall and was three-putting, which is funny because the greens today were so perfect. … I struggled today. I don’t have any great reason. It didn’t feel far off. So did McIlroy, starting with a three-putt from 18 feet on the second hole. He drove behind a tree on the third hole and hit into a bush on the fourth hole, both times taking a penalty drop and making double bogey. He wound up with a 76 and made the cut on the number at 1-over 145. McIlroy missed five putts from 6 feet or closer. The 16th hole sized up his day. McIlroy blasted a tee shot beyond the crest of the hill, a 375-yard drive that left him a simple wedge to the green. He wound up making bogey when he missed from just inside 4 feet. The biggest turnaround in the other direction belonged to Brendon de Jonge, who grew up in Zimbabwe and now lives in Charlotte. He opened with an 80, and followed that by tying the course record at Quail Hollow with a 62. Now he’s tied with Mickelson. “Strange game,” de Jonge said. The leaderboard was filled with players trying to win for the first time. Flores is in his fourth full season on the PGA Tour and has never finished in the top three. Shawn Stefani had a 68 and was two shots behind, while Kevin Kisner had a 66 and was three back. And there are plenty of major champions who haven’t been heard from much over the last few years. Martin Kaymer (2010 PGA Championship) had his second straight round of 69. Stewart Cink (2009 British Open) salvaged bogey from the water on the 17th and finished with a birdie for a 70. They were in the group at 6-under 138. Geoff Ogilvy (2006 U.S. Open) had seven birdies in his round of 67 and was four shots behind. Leading the way was Cabrera, who only seems to win majors. He made his move late with four birdies, and the last two were superb. Cabrera hit 8-iron over the lip of a fairway bunker on the par-5 seventh hole, but left himself 40 yards from a front pin. He played a pitch-and-run to about 5 feet behind the hole for a birdie to tie for the lead. Then, he judged perfectly with a flop shot out of the rough from in front of the short par-4 eighth hole, and made the 3-foot putt for birdie to take the lead. He drove into the rough on the ninth, clipped the top of a tree and sent his ball into a bunker and failed to save par. Mike Weir and David Hearn both made the 36-hole cut. 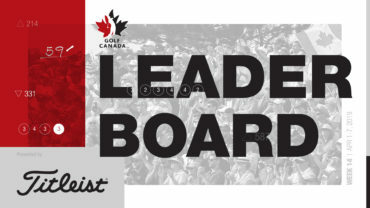 Weir is tied for 39th at 1-under 143, Hearn is sitting at even-par 144 and tied for 47th. Stephen Ames did not qualify for weekend action.